This is probably my favourite pie recipe because A) I finally got it to a point where the sugar isn’t so much that you’re going to be an instant diabetic and B) It is suuuper good and fruity (obviously lol). I thought I’d share my version of fruit / berry pie. It’s hard to find something that’s simple and lower in sugar so here we go. 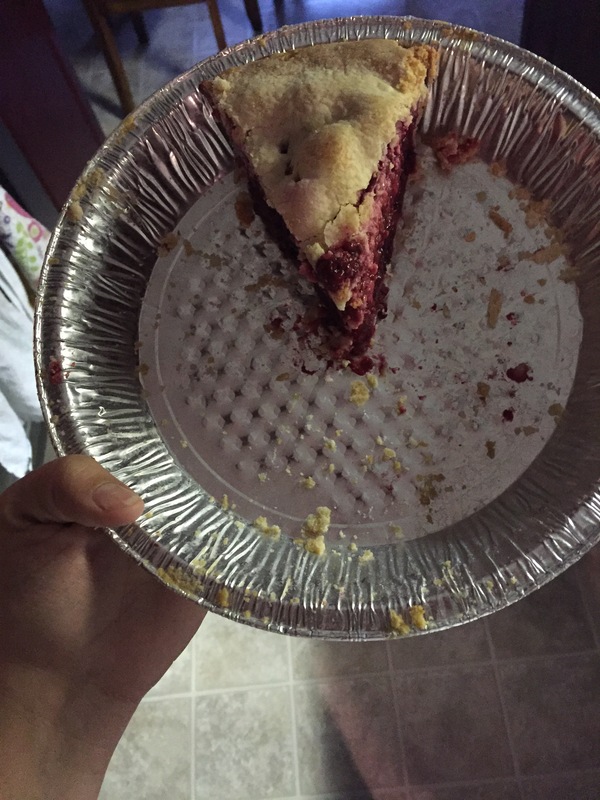 Pop the berries into the pie. Add more if needed. Cook for 45 – 60 minutes (I’ve done it for 45-50 most times, but I give it up to 60 just in case, it’s not like I’ve ever set fire to the pie so…. Ok, hopefully you like the pie! Enjoy! I got used to using Instant Tapioca granules for thickening the juice in a pie. There is no flavour to Tapioca. The Instant Formula dissolves and blends perfectly during the normal cooking time of pie. The jelled juice is “clear” compared to the mucky mud of using flour. If you use frozen fruit–like in winter time. Strain and boil off at least 3/4 of the fluid.